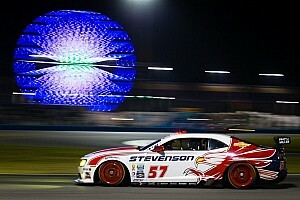 #4 Magnus Racing: Justin Bell, Ryan Eversley, Daniel Graeff, Ron Yarab Jr.
DAYTONA BEACH, Fla. (January 26, 2012) – The No. 4 eBay Motors/Children’s Tumor Foundation/Racing4Research Porsche GT3 maximized its track time during the opening day of practice leading into this weekend’s 50th Anniversary Rolex 24 At Daytona with team drivers Ryan Eversley, Justin Bell, Daniel Graeff and Ron Yarab. Second-year team driver Eversley was tasked with qualifying the No. 4 eBay Motors/Children's Tumor Foundation/Racing4Research Porsche and lapped the 3.56-mile road course with a time of 1:50.456 (116.028 mph). The lap ranked the Magnus Racing-prepared No. 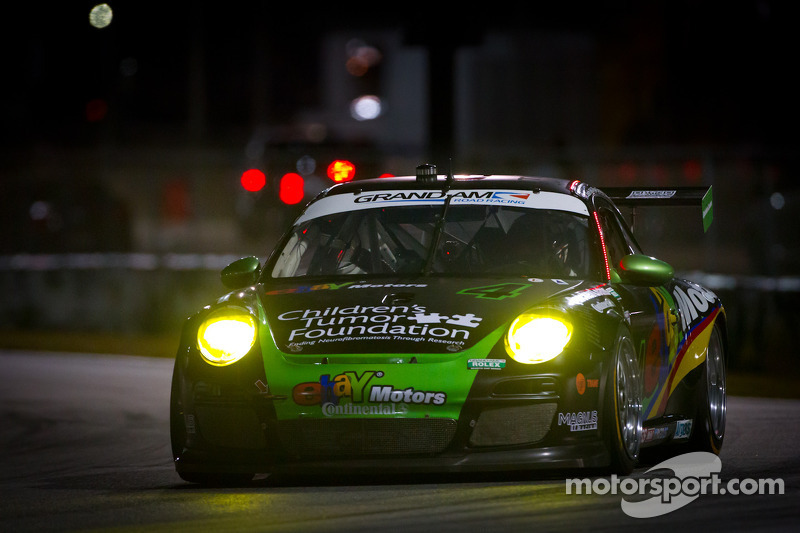 4 Porsche 17th and firmly in the front half of the competitive 44-car GT field. The Children’s Tumor Foundation/Racing4Research program increases awareness of neurofibromatosis (NF) and raises funds for research to find a cure for the debilitating disease. The program’s fifth-year campaign at the 50th Anniversary Rolex 24 At Daytona has the double support of leading online companies eBay Motors and Quicken Loans Inc. The Rolex 24 Racing4Research program has become the annual kickoff event for CTF fundraising each year and donations can be made at www.racing4research.org. During Thursday’s on-track activities, the inaugural pitside webcast conducted by Magnus Racing went live. The webcast continues during the entire Rolex 24 race and is available through the eBay World’s Fastest Car Show website, and the eBay Motors mobile app, which can be downloaded at http://mobile.ebay.com. Viewers can watch and listen to the challenges that the teams go through during the twice-around-the-clock classic and get on-the-scene reports from Bell and the other team drivers. The No. 4 eBay Motors/Racing4Research campaign will also be featured later this year in a second season episode of The World’s Fastest Car Show Hosted by Justin Bell, a unique web, mobile and app-accessible show available only at eBay Motors and on eBay Mobile. Bell will also be giving live reports during SPEED’s broadcast of the Rolex 24 from inside the No. 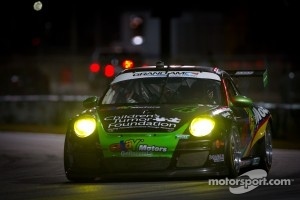 4 Porsche during his driving stints. Following Thursday’s qualifying session, teams competing in the 50th Anniversary Rolex 24 have three more practice sessions before the race on Saturday afternoon. 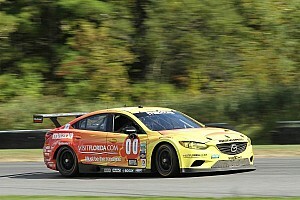 Pulling double-duty in GRAND-AM’s Continental Tire and Rolex Series races this weekend, Eversley has a plan for the next few days for himself and the team.